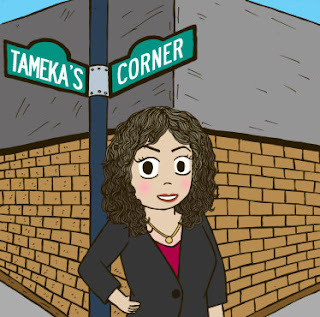 Tameka's Corner: Searching for Groom-zilla!! 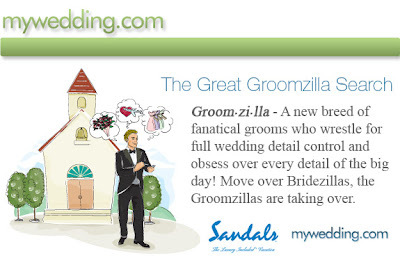 mywedding.com is on a search to find North America's biggest Groomzilla. That's right, a groom who is taking control on every aspect of the wedding and wants to make decisions on everything from the main course to the accent color of the bridesmaid dresses. So if you're a self-professed Groomzilla or a bride who is finding her groom fits the bill, they want to hear from you. Contest closes April 17, 2009 so don't delay. Enter the contest today for your chance to win. I am all for Bridal Shows that are free!!!! !